Jim is actually an old friend of mine who has read The Simple Dollar almost since its inception. He asked me the other day whether he could submit a mailbag question and I said, “Of course, but try to keep it short because short mailbag questions are more readable,” and then he dropped that on my lap. It’s definitely a short question and a very good question, but it goes far beyond what I can answer in a few paragraphs in the mailbag. The second part of Jim’s question considers how a person should manage their investments once they’re retired. As has been noted many times on The Simple Dollar, it’s wise to invest strongly in aggressive investments before retirement and even up until close to retirement, but the standard advice is to start moving into more conservative investments at some point. How exactly should you do this, though? The post When Is It Time? (and Other Hard Questions About Retirement) appeared first on The Simple Dollar. On the same day that seven member states of Bay of Bengal Initiative for Multi-Sectoral Technical and Economic Cooperation (BIMSTEC) signed an memorandum of understanding for grid interconnection, Nepali officials and experts have suspected the implementation of the agreement. They claim the most powerful country among the signatories, India, might become a challenge in smoothly implementing the agreement, that if executed properly gives benefits to countries like Nepal. Some officials of the Ministry of Energy in Kathmandu say the Indian government’s intercountry power trade directive will block the implementation as it mentions that the electricity it imports has to be produced with at least 51 per cent Indian investment. Therefore, former president of Independent Power Producers Association Nepal, Khadga Bahadur Bista, says the MoU is contradictory. Meanwhile, the government has requested India to revise its directive, according to the Ministry’s spokesperson Dinesh Ghimire. The New Delhi government is positive about the request, but it is yet to be decided, he informs. After successfully concluding the fourth summit of Bay of Bengal Initiative for Multi-Sectoral Technical and Economic Cooperation (BIMSTEC), its member states are preparing to hold the maiden joint military exercise in September. The exercise will be held in Pune from September 10 to 16. Nepal, Bangladesh, Bhutan, India, Myanmar, Sri Lanka and Thailand will send 30 personnel each to the programme. Meanwhile, Nepal’s Minister for Foreign Affairs Pradeep Kumar Gyawali says the joint exercise is not launched against any other country. He claims the exercise is meant to prepare the military personnel of participating countries for natural disaster rescue efforts. Earlier, some had suspected that India devised the plan for its vested military interests. Police have apprehended 28 people from various areas of Mahotari District accusing them of stealing electricity. “The District Police Office made the arrest after the NEA request,” informed DSP Khagendra Bahadur Khadka. The DPO in coordination with the Armed Police Force arrested those who had used hooks to steal electricity in Jaleshwor and other areas of the district. The arrested will be set free after they pay a certain penalty to the NEA. The NEA stated that it has started an initiative to to make sure people don’t steal electricity in the future. One of my earliest popular posts on The Simple Dollar was a home and auto maintenance checklist that I put together with the help of my parents shortly after moving into our house and becoming a homeowner for the first time. I knew, even then, that maintaining one’s home and automobile not only extended the lifespan of your home, the things in it, and your car, but it also improved functionality and efficiency and decreased the odds of a major unexpected breakdown. Ten years in, I still use a maintenance checklist like this, but it takes on a different form. After mentioning the value of home and auto maintenance a few times recently, several readers have nudged me to update this older list with my current home maintenance checklist and cover not only what’s on it, but how I actually use it. So, let’s do that! Here’s my home and auto maintenance strategy and full checklist. This checklist currently exists in Omnifocus, which is a task management program that I use for all of my tasks. While I’ve tried other programs over the years, I always wind up coming back to Omnifocus, and the current version of Omnifocus is just about perfect for my needs. I keep an ongoing project in Omnifocus called “Home and Car Maintenance” – yes, a very creative title. Within that project is a long list of tasks, each one scheduled to repeat on a certain pattern. Some tasks repeat monthly. Others repeat quarterly. Some repeat yearly. It’s worth noting that I don’t have them all repeat at once. I don’t have a giant pile of monthly, quarterly, and yearly tasks all repeating at the same time on January 1 – that would be a giant headache. Rather, I have my monthly tasks repeating throughout the month. I generally have it set so that two or three repeat at once, but those bursts of repeats appear throughout the month. So, I have two or three tasks that repeat on the 5th, then two or three that repeat on the 7th, and so on. With quarterly tasks, those repeat on the 3rd of a month, but the month changes. Some quarterly tasks are on a January/April/July/October pattern, while others are on a February/May/August/November pattern, and still others are on a March/June/September/December pattern. Again, this is so I’m not slammed with 15 maintenance tasks all at once. My annual tasks are similarly spread out, but they always repeat on the 1st of a month. Some tasks repeat on January 1, others on March 1, whatever. I just try to keep them spread out so, again, I’m not slammed with a ton of tasks on one day. In terms of practical use, I usually spend some time about once every two weeks going through everything that’s “past due” on my home and auto maintenance project and taking care of anything due to show up in the next week or so. This usually amounts to a healthy handful of tasks – a half dozen to a dozen or so, each of which usually just takes a few minutes, though some can end up spawning other tasks that I need to do later on (like going to our mechanic for some car maintenance tasks I don’t want to deal with myself). It’s worth noting that I’m not perfect at this by any means. These maintenance tasks sometimes fall way behind schedule when life is really busy and I end up, at times, almost feeling overwhelmed by them. Sometimes, I’ll just skip a maintenance reminder. I’m far from perfect, but I find that this system keeps me closer to staying up to date with everything than any other method I’ve tried. These are tasks that I aim to do each month as part of our home and auto maintenance. A quick reminder here that these are spread out all throughout the month. I don’t have them all pop up on the 1st. They’re on different repeating cycles, meaning I do some of them early in the month when I have time, others in the middle, and so on, as described earlier. Check the tire pressure on all cars and air them up to the recommended maximum I keep a tire pressure gauge in the glove compartment and simply use the “free air” at the gas station the next time I’m filling up. Check external exhaust vents for blockage I’m referring to where the dryer and the bathrooms and the range blow air to the outside. I simply go around our house and check each vent to see if there’s dust buildup on the inside and clear out anything that I find. This takes about five minutes. Test all fire/smoke/carbon monoxide detectors in the house I go through and hit the “test” button on each of them. I also check the expiration dates on the alarms themselves and replace ones that are outdated, and I replace backup batteries annually (that’s listed as an annual task). Check all faucets for dripping water If any are dripping, then I’ll fix it – 90% of the time, the fix is simply replacing a washer. This doesn’t take long at all! Flush all toilets, run all sinks, run all showers, and run all bathtubs to check for problems This mostly applies to the ones we don’t use nearly as often – the downstairs shower and sink and toilet, for example, and one of the bathtubs. I usually wind up checking them all, though. I’ve never seen a problem other than slow drains (fixed by clearing the drain with a drain-clearing tool and some baking soda and hot water) and a toilet that kept running. I immediately clear out any drain that seems even remotely slow. These are tasks that I aim to do each quarter as part of our home and auto maintenance. I don’t have them all pop up on the 1st. They’re on different repeating cycles, meaning I do some of them in January, some in February, and some in March, and this cycle repeats throughout the year. Check the fluid levels in every automobile I either do this myself (or have someone do it) about every three months. The fluids I watch are the engine oil, the coolant, the power steering fluid, the brake fluid, and the windshield washer fluid. The “how-to” is spelled out in the manual. I’m mostly just checking for levels, just to make sure there’s not a leak; for replacing the fluids, I follow the maintenance schedule in the manual. This takes maybe ten minutes. Check and replace the air handling filter We buy filters that need to be replaced annually these days, but I still check it every quarter just to make sure it’s still in place and it’s not clogged up. So, I have this as a quarterly task, but part of it is simply checking the date I wrote on the installed filter and replacing it with a new one. If I notice we’re out of new ones, I add another task to my to-do list: “pick up new air handling filters at hardware store.” Peeking at the filter takes maybe thirty seconds; replacing it adds another thirty seconds or so. Examine the foundation for any cracks I do a “walkthrough” every three months looking for problems and this is part of that walkthrough. I just look at every part of the foundation that I can see and look for cracks that I haven’t seen before or have grown. If I see one, I usually mark it in some fashion to see if it’s growing. So far, I’ve never seen anything that seemed problematic (thankfully). Examine exposed wood for weather or insect damage This is also part of that walkthrough. I just look for spots where wood is exposed and see if there are weather or insect issues. Again, I’ve never seen a real problem with this. Check all vents for obstructions Again, this is part of that walkthrough. I check all inside and outside vents to see if they’re blocked in any way and remove anything blocking them. Check your sump pump for any issues I simply lift the lid off of the little crock that contains our pump and see if I notice anything visually wrong with it. If it looks fine, I pour some water in there until it kicks on – over the years, I can tell exactly when it should kick on. I’ve never had a problem here, thankfully, but if this didn’t go right, I’d immediately start investigating a fix before our next rainfall. Check all of the window and door locks I just go through and lock and unlock every door and window and make sure that they’re working fine. There are some doors and windows that we basically never open, so they’re worth a check; others are locked and unlocked and opened and closed regularly, so I usually just skip them. Check the gauge on all fire extinguishers Do they appear properly pressurized? If not, there’s a leakage issue and the extinguisher needs to be replaced. We keep one under the sink and another in the garage, so this doesn’t take long. Check all gutters for blockage and clear as needed I don’t like heights very well, but I’ll do this little task on our tall ladder. I just climb up and check the gutters – is there anything blocking them, like a pile of leaves or a bird’s nest? If there is, I remove it. I also peek into the downspouts to make sure they’re not blocked. Check all visible pipes for leaks This mostly involves looking under the sinks at the pipes there and also checking the pipes in the utility room. Evaluate unused stuff This takes a couple of hours, but it’s a really good quarterly project. I just go through the closets and other storage areas and ask myself whether we’re really using this stuff. If it’s something I’m unsure about, I put it in a big box in the garage with a date one year in the future on it. I then look for similarly-dated boxes out there and if I find any, the stuff inside is sold off or donated, no questions asked. If I was unsure to begin with and then didn’t look at it for a year, it needs to go. This keeps clutter from taking over. Reorganize the pantry and cupboards This also takes a couple of hours, but in doing so, I almost always find the ingredients for meals that were planned but didn’t get made and other forgotten items that end up making up a big part of meal plans for the next couple of weeks. Reorganization also makes it far easier to find things (for a while, at least) and usually frees up quite a bit of room, as well as helps us discover any items that have gone bad. Reorganize the freezer This doesn’t take nearly as long. Generally, the goal here is to move all of the older stuff to the front so that it gets used soon and intentionally add that stuff to meal plans sooner rather than later. This prevents us from having to chuck stuff due to freezer burn. Clean out the fridge completely, then restock I literally pull everything out of the fridge, wipe things down, throw away anything that’s scary, and then put everything else back in there in a more sensible fashion. Review the car maintenance schedules in the car manuals and make sure we’re up to date on everything Car manuals are very clear on what maintenance needs to be done and when. Spending a few minutes just to review the schedule, do the things you can do, and schedule appointments to handle things that are out of your pay grade will greatly extend the life of your car. Clean the garbage disposal with ice, hot water, and baking soda I just stuff a bunch of ice cubes into the garbage disposal, run it for about ten seconds, then pour some hot water and baking soda in there and run it for another five. This keeps it smelling good and in good working order. These are tasks that I aim to do each year as part of our home and auto maintenance. The timeframe for each is mentioned in the description. Winterize the lawnmower This is penciled in for mid-October. This involves a few steps: siphon the gas out of the gas tank, disconnect the spark plug, remove the blade, drain out the oil, clean the underside, replace the spark plug, and change the air filter. I break this up into two tasks – one involves getting an air filter and spark plug at the hardware store and the other, a week or so later, for actually doing the tasks. It takes half an hour or so. Summerize the lawnmower I usually pencil this in as an annual task in early April. I usually sharpen and reattach the blade, reattach the spark plug cable, put fresh gas and oil in the mower, and then start it to make sure it works. Again, I have an earlier task for late March that involves picking up mower gas and oil. It takes maybe fifteen minutes, all told. Check the filter in the range hood and clean it Our range hood has a little filter in there that’s behind an easy-to-remove panel. I just pull it out and wash it and put it back in there. Some Dawn and baking soda on a soft brush makes this task easy. Five minutes or so does the trick. Remove grills on forced air system ducts and vacuum inside the ducts This is on my list twice a year, in March and October, so it’s two different annually repeated tasks. This takes maybe fifteen minutes; I just go around the house and remove vent coverings and vacuum in there a little to clear out dust blockage. Check the breakers I flip each breaker on and off individually and make sure that it works. I’ll just make sure there’s nothing that can’t lose power for a couple of minutes in our house, then I’ll flip off a breaker and make sure what I expect is powered off, then I’ll flip it on and make sure things in that area are back on. This takes about ten minutes. Clean all windows and window wells and dry them This involves removing screens, washing the windows on the inside (and outside if I can), washing the wells, and then drying everything off. I also check the caulking while doing this and if I notice loose or weathered caulk, I either fix it right then or add a new item to my to-do list. Drain off some water from the bottom of the hot water tank The goal here is to remove sediment, which can cause the tank to run poorly. I usually drain it into a pan, then turn the valve back off and let that pan of hot water sit for a while to cool down. It’s usually got a bit of sediment in it, but nothing much. This greatly extends the life span of the hot water tank and keeps it nice and efficient. Do a fire drill In the late evening, I’ll hit the test button on the fire alarms near bedrooms and have everyone follow the standard fire drill. Check and clean refrigerator and freezer coils This involves turning off the power to the fridge, pulling it out, and dusting off the coils on the back, then sliding it back into place. It takes maybe twenty minutes. Then, I do the same with the freezer in the garage, with a slightly shorter timeframe because it’s easier to move. While this might seem like a lot of tasks, they’re each really short (for the most part) and they repeat really infrequently, which means that it doesn’t take a whole lot of time to take care of these things. Doing them ensures that everything continues to last and last around our home. We must be doing something right – we haven’t had any major repair issues in a long time around our home. Having said that, the most powerful strategy for home maintenance is something you can be doing all the time – using your senses and paying attention to your house. Listen for new sounds. Look for anything that’s changed in color or texture. Figure out any new aromas. If you see something that you haven’t used in a while, use it and make sure it works and seems in proper working order. That’s helped us to avoid a lot of potential problems over the years, as we’ve been able to fix natural wear and tear issues before they become a real problem. Are we perfect at this? Absolutely not. I’ve skipped things on this list many times. However, when those things do pop up on my to-do list, I make an effort to take care of them almost always, and I know that doing so has helped extend the life of our home, our cars, and our large appliances. Is this list perfect? Absolutely not. There are always things that could be added, plus there are definitely some things that are more relevant to some houses than others depending on size and location. Treat this list as a good starting point for your own list. The post My Home and Auto Maintenance Checklist appeared first on The Simple Dollar. Joyas Zhu is the Country Director of Huawei Technologies for Nepal. Huawei is one of Nepal’s fastest growing smartphone brands in the country. He came to Nepal last year after spells in Laos, Cambodia, Myanmar and Mexico. He spoke to Onlinekhabar about the future of Huawei in Nepal and the new Nova series phones. Most phone companies sell their phone through a retailer. Any specific reason why Huawei opened an office in Nepal? We opened an office here because we believe in long term business. We want to be here for 50 years. Our strategy is to stay here for a long time. We don’t want to come here for commercial purpose we have to leave our mark here. Apart from selling phones, what else is Huawei involved in? At Huawei, we have four business groups. First is consumer business which involves selling consumer products like phones, tablet and various accessories. Another part is selling networking equipment which is one of Huawei’s main businesses. Our enterprise business gives government and police suggestions and solutions on how to use technology in their day-to-day activities. We have recently started cloud business in Nepal, which is in its early stage. This office has all of those departments which is why I say mobile is only one part of our business. How important is the Nepali market for Huawei? It is important but not as much because the Nepali market is not very big. Adding to that, the economy is not developed either. But as a brand, we want to be in as many countries as possible. As of now, we are present in around 170 countries and through all our businesses have served almost 30% of the world’s population. We want to serve the entire world. This is why we try to go to different countries and provide good service to our customers, which helps us build our brand. Innovation has been an important part of Huawei. What kind of innovation are you working on right now? Every year we invest a lot in research and design. We spend around 14% of revenue in research and design. It’s quite a lot if you look at it. We also have a special experience research centre in 15 countries like India, Japan, France and USA. Every country works on one aspect. For example, the French centre works mostly on design. Similarly, the German centre is where our best technical expertise comes from. Recently these centres have produced many innovative products like quad-camera and an AI processor. Do all Huawei phones come to Nepal? Only some phones make it here. We are not like other brands which have a lot of products in the market. We only bring those phones which we think will sell here in Nepal. Huawei only launches 6-7 models every year because we want all models to be good. In Nepal, we sell four series – the P series, the Y series, Mate series and the Nova series along with some high and low end tablets. What is different in the new Nova series? The new Nova is young, fashionable and stylish. We have focused more on the camera because people like to share a lot of pictures on social media. Why we have a 24 megapixel front camera along with a 2 MP camera which make the selfie experience different to other phones. We have worked a lot on the design too, which is quite beautiful. What challenges are you facing in Nepal? Nepali market is quite challenging. The first challenge is the policies which are quite unstable. Then there is the exchange rate which keeps on changing. Adding to that, the government which increases the taxes. This year they increased the import tax and VAT. All of these factors impact our price. You can see that the price of the phone is quite high compared to the other markets due to the tax rates. We also have competition from other brands that have retailers bring phone at a cheaper rate, which creates a problem for us. How much do you spend on advertisements? We spend 10% of our budget on marketing and branding. It is a consumer product and we spend like any other brand. We do that because we want people to experience our products which will help us stand out. It will help us in the longer run. We need to focus more on our product and user experience than marketing. Why should a consumer buy Huawei? We’ve seen that people who buy our phones recommend others to buy it too. That I believe is because our phones are good which is why we have got good reviews. Our quality is good and our battery is durable. The speed is good too along with our camera is as good as any in the market. The reason people should use us is because we focus on technology and try to make better products every time. Any plans of assembling phone here? We haven’t thought of that yet as there are various factors that we have to look at. It’s not easy to do that in Nepal because there is no industry here. Everything has to be exported, which mean a lot of cost. The policies of the country also do not help. We feel that there is not a need at the moment and if in the future there is a need, we will sure do it. For example, we do that in India because the market is huge there. Why should consumers look for new Huawei products in the future? Our vision is to make Huawei the most popular smartphone brand in Nepal by 2021. We also want to make sure our brand image is high too. The Mate and P series has done well all over the world. Now we want the Nova series to drive us forward which puts us on the map which also helps the sale of our other phones. The Nova 2i we launched last year did quite well capturing 30% of the market segment. The new Nova 3i is doing well too and it is like that the market share will increase. It might also help us sell our low end product y5 and y6 which has a lot of competition in the market from Oppo and Vivo. How has the response been for the new Nova phone? It was better than expected as it exceeded our expectation. The first day, 2,000 phones were sold within two hours. The Nova 3 was out of stock, especially the purple colour. Now the phones have recently come. Working hard to earn and maintain excellent credit scores is certainly worth your time. Your credit scores impact your bottom line in many different ways, from the mortgage rates you receive to your car insurance premiums to the deposit requirements you’ll pay. Building great credit is nothing short of a wealth building strategy. The good news is that consumers seem to be taking their credit more seriously. The average credit score is at a record high, and according to FICO, the percentage of super-prime consumers (those with credit scores of 800 and higher) has been on the rise since 2010. And, the average VantageScore credit score has now risen to 675. We’re headed in the right direction, credit score-wise. What you shouldn’t do, however, is get distracted by chasing a “perfect” credit score. It’s simply not worth your time. The most widely used credit score brands in the United States are FICO and VantageScore. FICO is the older of the two scoring systems and has been in commercial use since 1989. FICO is the credit scoring brand most commonly used by lenders — especially in the mortgage industry, where use of the FICO score has been mandated by Fannie Mae and Freddie Mac. VantageScore, however, has been steadily gaining ground in the credit score marketplace. This newer credit score brand was launched in 2006 and was developed as a joint venture among the credit reporting agencies themselves – Equifax, TransUnion, and Experian. The credit score range for both FICO and VantageScore credit scores is 300-850. Therefore, if you’re obsessed with earning the perfect credit score, 850 is the mark for which you’re aiming. The formula for achieving the perfect score of 850 isn’t difficult to understand. First, you need to have a flawless payment history, which means no derogatory information on your credit reports. Next, you need to maintain low or no balances on your credit card accounts. You also need to have a well-aged credit report — with over 20 years of credit history, in fact. And finally, you need to have a mixture of different types of accounts and few or no credit inquiries. But again, you’re wasting your time trying to pursue the perfect credit score. Here’s why. When it comes to great credit scores, it’s important to remember why you wanted to achieve them in the first place. Great credit scores can save you money and can open a lot of doors for you that might have been closed otherwise. Yet, a perfect credit score isn’t necessary in order to tap into these credit perks. In today’s credit and lending environments, there is little to no incremental value for having a credit score above 760. The published rates for every type of credit are as low as they’re going to go once you have a credit score of at least 760. This includes credit cards, mortgages, and auto loans. Practically speaking, with a 760 credit score, you’ll already have access to a lender’s best rates and terms. So, a credit score of 780, 820, or even 850 isn’t going to get you anything other than bragging rights and a lot retweets or likes on your social media pages. But by all means, if hitting that perfect 850 credit score is something you’ve always wanted to do, then go for it. Just keep in mind that increasing a score that is already good is not easy. And conversely, lowering a score that’s already good is very, VERY easy, especially if you’re trying unproven score improvement strategies. So, be happy with your 790 or your 810 credit score, and work to maintain those elite scores rather than improve upon them. The post The Perfect Credit Score (and Why You Shouldn’t Obsess Over It) appeared first on The Simple Dollar. Why is Bangladeshi PM wrapping up her Nepal trip before conclusion of BIMSTEC summit? This happens when a single person users more than one telephone services from multiple companies. The fourth summit of Bay of Bengal Initiative for Multi-Sectoral Technical and Economic Cooperation is beginning in Kathmandu today. The grand meeting will discuss various issues as mentioned in the agenda finalised by a meeting of foreign affairs ministers of all member states including Bhutan, Bangladesh, India, Myanmar, Nepal, Thailand and Sri Lanka. It has been learning that signing a memorandum of understanding for grid interconnection is the most significant item of the agenda. In particular, Nepal is expected to reap benefits from the agreement as it will pave the way for selling electricity upto Myanmar and Thailand. Prime Minister KP Sharma Oli, as the chief executive of the current chair of the regional body, will inaugurate the summit at Hotel Soaltee of Kathmandu. The summit will be attended by Oli, Bhutanese Chief Advisor Dasho Tshering Wangchuk, Bangladeshi Prime Minister Sheikh Hasina Wazed, Indian Prime Minister Narendra Modi, Burmese President Win Myint, Thai Prime Minister Prayut Chan-o-Cha and Sri Lankan President Maithripala Sirisena. One of the ideas that I’ve really been struggling with in terms of teaching my kids about money is the power of compound interest. They understand the value of not spending money and saving it for the future. They’re able to set big savings goals for themselves and not touch allowance or birthday money for months to achieve that goal. They’re pretty good at understanding that it’s usually beneficial to hold onto your money until something really good comes along rather than just buying the first cool thing they see. The willpower part isn’t hard. They even understand that if you put money in a bank or use it to buy something valuable, your money will grow while you save it. Where things get tricky is with the idea of compound interest. This has been something I’ve struggled to illustrate for a long time. Here’s what I did with my kids for two months last year. On the first day of March, I put ten pennies in a bowl. I said, every day this is going to earn 10% interest which means that for every 10 pennies in this bowl, I’m going to add another penny. On the last day of April, we’ll spend it together doing something fun. How much do you think will be in the bowl? There were 61 days between March 1 and April 30. I encouraged them to guess and they came up with guesses on the order of $1 or maybe $2. My oldest kid was actually pretty unimpressed. So, each day at breakfast, we’d count up how many pennies were in the bowl, and then I’d add a penny to the bowl. On the first day, we counted up ten pennies and added one. On the second day, we counted up eleven pennies and added one. This was neat at first, but by about day eight or nine, it was kind of boring. Day eleven hit, we counted them up. Twenty pennies. I put two pennies in the bowl. Day twelve through fifteen, again, kind of boring. Two pennies a day. They were paying attention, but it was kind of dull. Day sixteen, we put in three pennies. Same for days seventeen through nineteen. Day twenty, we put in four pennies. At this point, I suggested that we take out every ten pennies and replace them with dimes, so the bowl then had four dimes and four pennies. Then things started getting much more interesting. The first day I dropped a dime in the bowl was around day 30. I dropped a quarter in the bowl on day 40 or so because there was now more than $2.50 in there. On the last day, I put almost two bucks in the bowl and then we went out for ice cream and rented a movie at Redbox. This is such a brilliant demonstration of the power of compound interest. You show them a small amount of money and a simple rule that’s easy to understand – for every ten pennies in the bowl, we add a penny, so it’s 10% interest. Then they can just watch it grow. Why did he stop at two months, you might be wondering? Well, if he had continued this through the 31 days of May, he would have had $398.13 in the bowl, by my count. That’s a neat trick if you intend to grow from pennies to buying a Playstation 4 or something like that, I suppose, but it’s a little outside the financial realm of many people who might try this. They started tossing up guesses. One dollar! Two dollars! Six dollars? Nope, the answer was just shy of $20. Again, tossing out guesses. Forty dollars! Eighty dollars! One hundred dollars? Nope, just barely shy of $400! They were stunned. They didn’t believe me. So, right now, there’s a bowl sitting on our kitchen table with a bunch of pennies in it. They’re watching it grow each day and actually debating what will happen next. I’m also working to relate this to the real world. I mention to them that returns don’t happen quite this fast in the real world, but the principle is still the same. First, we start talking about how many years that will be. My oldest son does some math and concludes that he might have a kid in seventeen years and that kid would be eighteen when he/she went to college, so 35 years is the timeline. Well, in 35 years, that $1,000 would grow to $28,102. At our local state university, $1,000 would only pay for a small part of a year of tuition. $28,000 would pay for about three years. And you don’t have to do anything but just let that money sit. They got the idea. Time marches on, and if you let your money be carried by time instead of in your pocket, your money grows and grows and grows. In fact, as we were discussing this topic this very morning, they asked about their own college savings (which are doing really well, mind you) and why we’re not saving for their children’s future already. The more years, the better, right? The concept is in their head now, and those pennies growing in that bowl are going to reinforce it. Now, it’s worth noting here that I’m not getting into the nuances of all of this. I’m using very round numbers for interest rates – 10%, basically – and we’re not discussing taxes or anything like that. There’s plenty of time in life for them to learn all of the details. What matters is that they understand that if they do something smart with their money, it will go to work for them and earn more money, and if they give it time, the money their investment earns will earn even more money and it just snowballs from there. The pennies in the bowl are a great starting point, and having conversations about it helps even more. The next trick, of course, is connecting it with their behavior. “OK, we’ve figured out that putting a little aside now will pay for your kid’s college or your retirement… how do we come up with that little bit now?” Frugality and a bit of self control are the answers to that question, and it’s something that they seem to fundamentally understand already, but we’ll take it one step at a time and let them marvel at compound interest for a while. May your parenting experiences click like this one has. The post Teaching Children About Compound Interest appeared first on The Simple Dollar. In a meeting between representatives of the group and Nepal Investment Board, Nepali officials said they were ready to reduce the installed capacity of the project to 620 MW and buy power from the project in US dollars. The Nepali side proposed that work on the project be started at the earliest. But the Chinese group, which submitted a long list of demands to the Nepali government, rejected the proposal saying that its concerns related to the rehabilitation of settlements that will be affected by the project have not been addressed. Similarly, they said that without addressing this sticking point, the project is not financially viable. China Three Gorges Group’s subsidiary CWE Investment Corporation and Nepal Investment board had reached an understanding in 2011 to develop the project. According to the original terms, the Rs 120 billion project will by jointly financed by the group (75%) and the Nepal Electricity Authority (25%). During earlier rounds of negotiations, Three Gorges proposed that the project be downgraded to 600 MW. The Nepali side rejected the proposal for sometime, but later decided to agree. The Chinese delegation has also met the Energy Minister and the Finance Minister to express its reservations related to the project. Coupon books are almost an afterthought at this point: Low-tech, bulky, burdened with an up-front cost. But as consumers have learned after years of flash deals, Groupon, LivingSocial, and other discounting experiments, discounts are only worthwhile if they’re worth something to the consumer. More than a decade ago, TSD founder Trent Hamm quickly reached the conclusion that coupon books like the “Entertainment book” are worth the cost if you use them correctly. If you buy one as a fundraising tool for a school or charity you enjoy, it’s a great way to support those interests. If you skip ahead and separate the coupons you need from the coupons that are just trying to get you to try something new – Trent had a weakness for 2-for-1 coffee at the time – you’ll be able to use the book more wisely. Both of those points remain true. If it’s a fundraiser, you could pay for it, set it under a stack of logs as kindling, light it ablaze, and still accomplish your primary goal. Granted, that’s a $20 to $35 firestarter you just bought, but it means no less to the group you bought it from than it would have if you used it on half-price golf lessons or free fro-yo. Is that still a deal? Well, I took a look at the offerings in my corner of the world and immediately saw coupons for a bunch of businesses that my wife and I use regularly. Local restaurants like Juan Colorado and Don Pedro offer deals that cut into the price of their meals, while our local bowling alley – Four Seasons Bowling Center – uses Entertainment coupons to knock down the price of games. We order pizza from both Pizza Schmizza (we know) and Papa Murphy’s enough to put those coupons to use, while a coupon for JoAnn Fabrics would go right toward the cost of framing: A rather frivolous expense that we nonetheless seem to incur every year. However, I was dismayed to see just how many national chains were included in the book. At least in our area, the chains and franchises far outnumbered the independents. It’s a nearly 4-to-1 margin in favor of national chains for businesses around my house, with very few being particularly useful: Maybe Budget truck rental if we have to move furniture, Sherwin-Williams for paint, and Valvoline or Jiffy Lube for the occasional oil change. There are other options, though. Here in the Pacific Northwest, Chinook Book does an excellent job of rounding up local businesses and packing their book with local offerings. It’s $20 for the print edition and $15 for the online version. Even after vetting this book for my local shopping preferences, however, it starts to pay for itself quickly. We use Miller Paint for all our house paints, so a buy-one/get-one coupon for their products would pay for the book on its own. However, the Chinook Book also covers businesses throughout Portland and much of our corner of Oregon. While $5 off a cut at our nearby barber shop helps, we’re far more likely to grab 2-for-1 tickets to second-run films at the Academy Theater ($4 in savings), 20 percent off used records at my record store (roughly $3 to $4 per record), 20 percent off any book in the store at Broadway Books ($4 to $5 off a new release), $10 off a purchase of $50 or more at the local market or even 30 percent off pet adoption at the county shelter where we got our cat, Combo. It’s a matter of simple math: If a year’s worth of discounts from shopping with a coupon book adds up to more than the cost of the book itself, you’re making out on the deal. If you’re doing so and helping both local causes and local businesses in the process, that’s even better. I’m a big fan of that simple math, mostly because it makes for some fun browsing. If my local bike shop cuts $20 off a $100 purchase or gives me a free tube ($7.50) with tire installation, it’s a coupon I know I’m going to use — and it gives me a base to start from. If I know I’m going to get 50 percent off of four Lyft rides (capped at $5 a ride), I know it’s going to pay for a $20 coupon book pretty quickly. Even $5 off at a pizza place, $10 off at a dinner spot, 2-for-1 meals at a brewpub, or 2-for-1 cones at the ice cream place with the line out the door add up quickly. But if you find yourself struggling to recoup the cost of the book or to even get a significant amount above the purchase price, that’s when it’s more sensible to step away. If you’re not invested in a coupon book for a fundraiser and are just trying to save money, you won’t help your quest for frugality by using coupons at places you ordinarily wouldn’t go. Remember: Even getting 50 percent off on something you don’t really need and wouldn’t have purchased otherwise isn’t saving money. It’s only a discount if it reduces the price you would have paid for something without the coupon. Companies that offer discounts in these books are doing so to help causes, but also to get you to buy or try what they’re selling. When you can get those coupons to fit into your regular routine, you’re getting the best deal of all. The post Are Coupon Books Worth the Price? It Depends on How (and If) You Use Them appeared first on The Simple Dollar. A truck en route to Naryangadh of Chitwan district from Kathmandu skidded off the road and plunged into the Trishuli River last night, killing one and leaving three others injured. One has gone missing in the accident near Pokharekhola of Gajuri-6. Police confirmed the deceased as Keshar Pulami of Gajuri-6 in Dhading. Ramkrishna Bhujuel, 21, is missing as the truck (Ba 4 Kha 7781) fell into the river. The injured have been sent to Kathmandu-based Trauma Center for treatment, Superintendent of Police, Dambar Bahadur BK said. A Bajura-based journalist, who was covering a local fair in Bajura, has been missing for the last four days, authorities say. According to police, Tej Bahadur Khadka, who had gone to Bajura’s Budhi Nanda to cover the Janai Purnima fair, last week, was last seen on August 26 near Chhapre Lek. The journalist, based in Doti, works for Budhunanda FM. He had embarked on the journey on August 22. The area he went missing is at an altitude of 4,1oo meteres and it takes four hours to reach there from the nearest human settlement. Police said a missing complaint was only filed on August 27. Police have deployed three teams to look for the missing man. Federation of Nepali Journalists has called on the government to seriously investigate the case. It has expressed concern that Khadka has not been found even after four days. 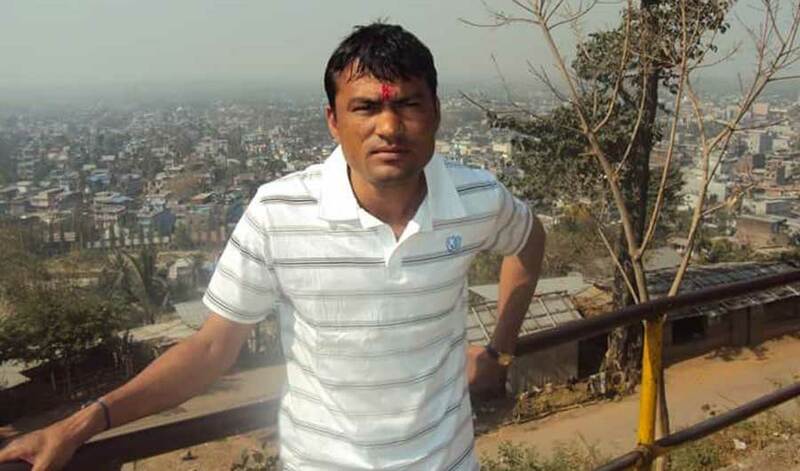 The federation has appealed to rights activists, members of the civil society and the media to help look for Khadka. Oman beat Nepal by seven wickets in the Asia Cup Qualifier held in Kuala Lumpur on Wednesday. Batting first Nepal posted 221 runs on the board in the allotted 50 overs. Sagun Pun top-scored for Nepal with 83 runs while opening batsman Gyanendra Malla also contributed with 43. Pun’s 92-run partnership with Aarif Sheikh who scored 36 runs helped set the challenging target. In reply, Oman cruised to a win with two overs to spare. Nepal’s bowling looked quite poor with strike bowler Sandeep Lamicchane ending the game without a wicket. But he ran out two Omani batsmen. Captain Paras Khadka was the only Nepali bowler who was amongst the wickets. Oman’s batsmen Khawar Ali and captain Zeeshan Maqsood put up an unbeaten 77 run stand which helped them win the game with 12 balls remaining. This was the 4th time in a row that Nepal lost to Oman in a 50-over match. Meanwhile, the UAE clinched a comfortable 215-run win against Singapore while the hosts Malaysia shocked Hong Kong by three wickets. Nepal must now win all the remaining matches to make it to the final of the tournament and have a chance to qualify for the 2018 Asia Cup. As it stands the UAE top the table and are followed by Oman and Malaysia. Nepal has finally won a medal at the ongoing 18th Asian Games. The Paragliding team won silver medal in the Cross Country Paragliding event today. The Nepali team were only 27 points away from winning Nepal their first gold medal ever. Nepal who had accumulated 11,364 lost out to first place Japan who had 11,391 points. This is Nepal’s second silver medal in Asian games having won one in the 1998 Asian Games in Bangkok. Nepal’s Minister for Foreign Affairs Pradeep Gyawali says it is now time leaders of the Bay of Bengal region to translate past commitments into action. Minister Gyawali, who was addressing a meeting of foreign ministers of the BIMSTEC region in Kathmandu, said that the regional grouping must focus on trade and transit. The minister, who chaired the meeting, presented Nepal’s vision for the region in the context of partnership in building a sustainable transportation and energy transmission network. He also discussed the possibility of establishing an ‘information highway’ to connect the countries in the region. Gyawali told his counterparts that BIMSTEC should also look into issues related to disasters, food security and climate change. The meeting comes a day after the 19th secretary-level meeting of the BIMSTEC states in Kathmandu, which prepared a draft of the Kathmandu Declaration, to be signed by top leaders of the member states later this week. The meeting of the ministers has also endorsed the draft and decided to present to the summit meeting. Five members of family were burried alive after their house collapsed following incessant rain on Tuesday night, officials said. Ram Singh Kami and five other members of his family were in the house in Bagchaur Municipality-4 when the incident took place. Those killed in the incident are: Ram Singh, his wife Ram Kala, daughters Ganga and Pramila and son Ruplal. Singh’s 11-year-old daughter Sunita was, however, rescued alive. Police said a team of rescuers was deployed to the area after reports came in on Tuesday night. The CDO and the police chief have also visited the incident site which is around seven km from the local police offiice. 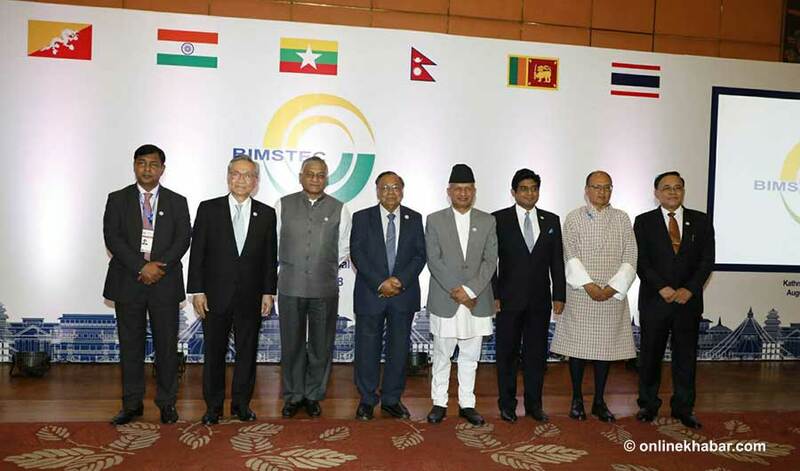 The 16th ministerial meeting of Bay of Bengal Initiative for Multi-Sectoral Technical and Economic Cooperation (BIMSTEC) is taking place in Kathmandu since Wednesday morning. Minister for Foreign Affairs Pradeep Kumar Gyawali will chair the meeting. Foreign/External Affairs Ministers of other BIMSTEC member states will make their statements in the meeting. During the meeting, SAARC Secretary General will present various reports. The reports of the Special and 19th Senior Officials’ Meeting (SOM) will also be tabled in the meeting. Similarly, the meeting will be briefed on the preparations for the fourth BIMSTEC Summit that will begin in Kathmandu tomorrow. The meeting will finalise the BIMSTEC Convention/MoU ready for signature as well as the draft of Kathmandu Declaration for the Summit. Foreign Minister of Bangladesh Abul Hassan Mahmood Ali, Minister of State for External Affairs of India VK Singh, Union Minister of International Cooperation of Myanmar Kyaw Tin, Sri Lankan State Minister of Foreign Affairs Vasantha Senanayake and Foreign Minister of Thailand Don Pramudwinai and Bhutanese Foreign Secretary Sonam Tshong will lead the delegations from their respective countries in the meeting. Bhutan has delegated the authority to Foreign Secretary Tshong to participate in the ministerial meeting in the context of announcement of general elections there. The past few months have been extremely topsy turvy in terms of finances for us. We replaced one of our vehicles. We went on a long-planned and fairly expensive family vacation. We did a bunch of smaller home repairs and did all of the planning for some home improvement projects (which are ongoing as I type this). We’re in the process of rearranging and repurposing several rooms in our home. All of those things have been planned for a while, many of them planned for years, and they’ve all come to a head all at once. It has made this summer long and stressful and full of little financial lessons for us. Here are ten key things I learned from this summer. Last year, our family vacation was a camping trip. We used our daughter’s free Every Kid in a Park National Parks pass to visit a few national parks in the Great Plains and into the Rocky Mountains (Badlands and Yellowstone) and camped there. We brought almost all of our food with us. It turned out to be an incredibly inexpensive family vacation. Our biggest expense in our final tally was gas – not food, not lodging, not entertainment, not tickets. This year, our family vacation was a long-planned trip throughout several southern states with my wife’s parents, culminating in a few days at Disney World. We ate almost entirely at restaurants and stayed at hotels. Our expense was almost ten times what we spent on our camping vacation. Guess what? I actually enjoyed the camping vacation more. I felt more at peace on that vacation, simply because of the relaxing nature of camping and time spent in nature. I felt less compressed for time. I felt a tighter bond with my wife and kids throughout that whole trip. I’d choose it in a heartbeat. I didn’t hate or even dislike the Disney trip, I just felt … overstimulated and not very relaxed on the whole trip. I felt like I was constantly spending a lot of time running errands or trying to figure out how to jam fifteen things into the next three hours. What’s the lesson here? A memorable vacation doesn’t have to be an expensive one (and vice versa). A great vacation is one that leaves you feeling relaxed while also experiencing something outside of the relative norm of your life, and you honestly don’t have to spend a lot doing that. As I hinted above, one of my biggest frustrations with our summer vacation this year was how tightly scheduled it felt. It seemed as if every day had a tight itinerary that kept us moving from one thing to the next to the next to the next, day in and day out. This wasn’t relaxing. This was actually pretty taxing. I came home from “vacation” much more tired than when I left. I didn’t feel recharged in any way. Compare that to our national park vacation the year before, where we went on hikes almost every single day. I monitor my step count each day and my average daily step count on the national park trip was substantially higher than our vacation this year, yet I felt relaxed and calm most of the time and it was far less expensive. Why? A big part of it was simply serendipity. We didn’t overly schedule our vacation the previous summer. The only planning we really did in advance was to figure out what nights we were staying where – that’s it. Our driving legs weren’t particularly long, either. On a given day, we’d discover at least two or three things that were worth doing purely by serendipity, and it was wonderful. Most of those things were free – quirky roadside things, nice parks to explore, and so on. Let your summer vacation have a lot of breathing room. Don’t over schedule it. What you’ll find is that the gaps fill in naturally with unexpected little things, plus the whole trip ends up feeling much more relaxing. In May, we experienced a nasty hail storm with softball sized hail. Unsurprisingly, this damaged our roof – after the storm, you could easily see that some shingles were damaged. I climbed up there to take a look and there was damage easily visible to even my untrained eye. A friend of mine who knows a fair amount about home repair projects stopped by the next day and took a quick look. He said it was fine for the time being but that the roof would need to go in the next year or so in order to avoid permanent damage to the layers under the roof and then, shortly thereafter, possible leaks. At that point, Sarah and I decided to just get it replaced now, so we contacted our insurance and went through all of the steps to get it replaced properly (as it was something beyond the scope of what we wanted to handle ourselves). During that process, we needed to gather some quotes for roof repair. Rather than simply calling the first name we could find, we instead asked our social network for help. Sarah and I both reached out to a bunch of our trusted friends and asked them if they had roof repairs done recently and, if so, who did they use and how was the experience. We got a lot of feedback, both good and bad, on various home repair businesses in the area. That feedback pushed us to three different options, each of which gave us a quote in very short order. We went with one and the job was done beautifully within a week at a very reasonable cost, and they handled interactions with the insurance company with no problems at all. Our roof looks great and our cost out of pocket was minimal. The lesson here? When you need a repair, talk to your social network and see who they’ve used for similar repairs in the past and how that experience was. Did they do a good job? Was the price reasonable? The more data you gather, the easier the choice actually becomes. Along with the major roof repair, there were several smaller issues that cropped up around our house in the last several months. A couple of old light fixtures failed, for starters. A cabinet door broke. A significant hole was poked in the drywall while moving some things around. A faucet started leaking constantly and the handle broke off. A toilet started running constantly. A doorbell stopped working. None of these things were disasters and none of them were major multi-day projects, but they were still issues that had to be dealt with. Several years ago, we would have just called a repairman to handle these things. It would have cost us a significant amount of money. Instead, we handled each of these things ourselves. Sarah and I each handled a few of these on our own; for the rest, we worked as a team to get them done. All it took for each one was a trip to the hardware store, a viewing of a Youtube video, a walkthrough document, some spare time, some tools from our garage, and a couple of quick Google searches for little things that weren’t going right. Most minor home repairs are things you can do yourself. You don’t need to call a plumber to fix a toilet that keeps running or a faucet that drips. You don’t need to call an electrician to replace a light fixture or install a ceiling fan. You can do these things yourself, and you’ll likely save hundreds in doing so. If you have an issue that isn’t an immediate crisis (meaning you have power and running water and your house isn’t flooding or literally falling apart), take your time with whatever project you have in mind. If it’s above your ability to handle it, get recommendations from your friends and put together several quotes. Sarah and I have been planning a small home addition for a few years now and we decided a while ago that this summer was when we were going to move forward with it. Part of that process has involved gathering recommendations from friends and gathering a lot of quotes along the way. By gathering a lot of quotes and cross-checking those quotes with the businesses that our social network trusted and the ones that they didn’t, we were able to quickly reduce our choices down to two businesses and then select our preferred choice, who has been incredibly professional throughout the process. Whenever you’re not in a crisis mode, gather lots of quotes for any project you’re doing unless you already have someone you highly trust. Over the past few months, several of our friends have experienced unexpected breakdowns. One person’s air conditioning system failed. Another friend had a tire blow out on a country road. Yet another had a refrigerator fail while they were traveling. None of those things happened to us, or have happened to us in many years. While part of that is luck, another key part of it has been preventive maintenance. I keep a pretty lengthy preventive maintenance schedule for our home and cars and do my best to stick to it. I’m always doing little things like putting air in tires and replacing filters and brushing off coils. The goal with all of those things is the same: I’m trying to extend the life of our costly possessions so that they don’t break down unexpectedly and cause us a bunch of additional expense. Because of those steps, we’ve been able to avoid a lot of unexpected failures over the years. We’ve actually had a lot of “luck” in this regard, but part of that “luck” is simply keeping up with preventive maintenance. When we made the decision to replace our old Honda Pilot with a newer family vehicle, that decision was encouraged by a mechanic we’ve used for many years. He was very open and clear with us about the reality of our old Pilot – it had an immediate repair that needed to be done very quickly and some other repairs that were coming down the road. He told us that if he were in our shoes, he’d trade off that vehicle now rather than putting another dime in it. He said that he could do all of those repairs for us, but the total cost would be much of the cost of simply replacing it and we’d get a lot more features and a lot more life out of a replacement. Furthermore, he did a “quick fix” that enabled us to safely drive the Pilot for a few hundred miles while figuring out what to do. We knew a replacement was coming, but thanks to our trusted mechanic, we were able to move on at just the right moment. How do you find a trusted mechanic? Again, start with your social network. Start using a mechanic that’s recommended by friends and see how it goes. Get quotes on some repairs from multiple mechanics and then start relying on one that seems to consistently have good prices and service. As you build a relationship, a good mechanic will give you invaluable advice like this and help you know when to move on from your current car, which will save you a mint. During the summer, we went on vacation as well as on a few weekend camping trips and a family reunion. During those trips, various vegetables were producing in our garden and we knew that we couldn’t harvest them. Rather than just letting it rot, we told our neighbors that they could just walk in and pick whatever they like while we were gone. Three different families took advantage of this and when we returned home, nothing had gone to waste. This essentially cost us nothing. We’re getting lots of vegetables and herbs now from our garden, which is great. The real perk, though, is that those neighbors have returned the favor to us. Each one of them has reciprocated that offer to us while they were traveling. The result has been that we’ve, at times, had an abundance of vegetables available to us in wide variety. Having a good reciprocal relationship with several neighbors around you pays off over and over again. For now, it’s been the vegetables that have had a nice payoff for us; at other times, it’s been other things, like pet care or lawn care or child care or borrowing tools. They’re valuable relationships. This incident isn’t really related to us, but to several people close to us. Two good friends of mine decided to get a divorce earlier this year. They’re both moving to separate cities in the fall. There were no kids involved, thankfully – just two people who realized that their relationship wasn’t working any more. I’m not going to say who is to “blame” in the divorce. I don’t think a relationship breakdown happens very often where only one person is to “blame” – it’s usually a result of multiple failures on both parts. Another person that I know in large part because of that couple broke off a business relationship as a result of that divorce. He was closer to one of the people in that couple than the other and seemed to make that decision based on that closeness. However, from my angle, that decision was made based on really questionable information. There were stories shared on social media about the relationship that weren’t 100% true – I witnessed some of the things discussed with my own eyes, so I know they’re not true. Yet, people were making big business decisions and personal choices based on that partial information. That’s a mistake. Regardless of whether your first instinct is right or not, take some time and make sure that you actually have facts and not secondhand gossip before making major business or life decisions. Things aren’t always what they appear, especially through the lens of secondhand gossip. Sure, you might end up making a big decision, but at least give it some time and gather the facts first. Unless urgency is required, don’t make a fast major decision. Part of the rearrangement of rooms in our home involves me moving my office into another part of the house where I probably won’t have quite as much space as I once did. My board game collection fits on the current shelving space allotted to it, as does my book collection, but both are going to shrink significantly in the coming months. This means that both collections are going through a purge. I’m having to make a lot of decisions about which books and games I’m going to keep and which ones I’m going to give away or trade away or sell. As I move through this process, I’m beginning to realize that a lot of the motivation I had for keeping books and games is emotional attachment. Usually, it’s because I remember a great experience reading a book in the past or a great experience playing a game in the past, but I’m not really thinking about whether I’ll read the book again going forward or play the game again going forward. Once I start looking at things in terms of going forward, some cuts begin to make obvious sense to me. I’ve been steadily trimming both collections over the last several months in anticipation of the move and the choices have been easier because of this realization. Life is a giant experiment. New situations are constantly being thrown at you. You’re going to make mistakes. The key to a great life, I think, is to constantly learn. Figure out new approaches to the new problems before you, watch some of them succeed and some of them fail, see what you can learn from that, and use those lessons for new approaches. The post Ten Financial Lessons This Summer Taught Me appeared first on The Simple Dollar. The government is preparing to hold a round of talks with China’s Three Gorges over some reservations it has expressed on terms and conditions set for the West Seti Hydropower Project construction. The company’s team is already in Kathmandu and meetings are scheduled for Tuesday and Wednesday, according to the Investment Board of Nepal. As the company expressed reluctance to begin the project citing some practical concerns, the Investment Board had been inviting it for the talks, assuring genuine concerns would be addressed. It has been learned that the government will request the company not to quit the project. Instead, it will propose decreasing the capacity from 620 megawatts to 550 megawatts. Earlier, when the company demanded that the project be limited to 600 megawatts, the government was not ready. In the span of just a few weeks this last month, my husband and I faced over $6,000 in surprise expenses. First, our car broke down and needed a new battery, brakes, and rotors, for a grand total of $1,100. A visit to the orthodontist led to a $2,700 bill to fix my youngest child’s underbite. Next up, we had to replace some rotten wood on the back of our home after we demolished our deck. After that, my youngest child (the one with a new contraption to fix her jaw) fell off a jungle him and broke her left arm. That zapped our health care deductible in an instant, but fortunately she’s okay. What does all this mean? We spent a big chunk of our emergency fund without any warning at all. It was stressful in some ways, but also a huge relief. I mean, this is what emergency funds are for, right? They’re made for spending on real emergencies — things like broken arms and surprise car repairs. My kid needing her jaw fixed was something I suppose I could have saved for ahead of time, but it never crossed my mind that a seven-year-old would need braces so early on. That was a surprise for me, and also a learning experience. Most experts suggest you set aside three to six months of expenses (not income) in an easily accessible account and designate those funds for emergencies only. The whole purpose of having an e-fund is that, when life happens, at least you don’t have to worry about how to pay for it — and you don’t have to charge your bills on a credit card or struggle to make ends meet. With an e-fund, you have the privilege of paying for your emergencies in cold, hard cash so you can go on with your life without ruining all your financial goals. Because my husband and I have an emergency fund, our lives and our finances will be just fine. We had three months of expenses set aside already, so we didn’t deplete all our cash funds to begin with. We’ll now spend the next few months replenishing our cash emergency fund out of our monthly pay. It won’t be fun, but it’s a lot better than going into debt over life’s little disasters. If your emergency fund has been depleted — or you don’t have one at all — don’t be hard on yourself! Your emergency fund exists to help you through hard times, including unexpected bills, medical emergencies, or a loss of pay, but it’s easy to underestimate how much you need or get stuck in a situation where several emergencies hit all at once. Reallocate savings. If you’re saving money every month for different goals, you will need to reallocate some of your savings back toward your emergency fund for a while. Let’s say you’re saving $200 per month toward a kitchen remodel or a family vacation. If you can move at least half of those funds to beef up your emergency fund each month, you’ll be on your way to replacing what you’ve lost. Don’t be afraid to start small. If you don’t have an emergency fund already or you aren’t saving money regularly, remember that you must start somewhere. If you can set aside even $25 or $50 per payday or per month and put it in a savings account, you’ll eventually make some headway toward your goal. Dave Ramsey suggests a starter emergency fund goal of $1,000, so don’t be discouraged by the idea of saving up three to six months of expenses. Anything you save for emergencies is better than nothing. Cut spending temporarily. If you’re using a monthly budget already, you’re probably setting money aside each month for “fun” categories like dining out, movies, and general entertainment. For the sake of building up an emergency fund or replacing money you had to spend, you may want to consider reducing these categories — or cutting them out altogether — until your e-fund is fully funded again. Create a repayment timeline. Crafting a repayment plan can also help you get on track toward your goal of building up your emergency fund. If you had to spend $2,000 of your savings to pay for a roof repair, and you know you can save $200 per month, you’ll need 10 months to pay yourself back. Write it down and commit to that amount. Pay yourself first. Also make sure you’re “paying yourself first” before life gets in the way. If you’re using a monthly budget (and especially a zero-sum budget), simply list your e-fund savings as debt repayment and pay yourself like you would any other bill. Also make sure you’re keeping your emergency funds in a separate high interest savings account so they don’t get mixed in with your general funds. If you had to spend your emergency fund, it’s not the end of the world. But since it takes time to build up adequate savings for life’s “what ifs,” your best course of action is to start saving to replace it right away. With an emergency fund of even a few thousand dollars, you’ll be in a better position to handle life’s ups and downs, a job loss, a surprise bill, or having to meet your annual health insurance deductible in one fell swoop. Without one, on the other hand, you’re stuck trying to pay emergency expenses out of your regular income. And that could become an emergency on its own. The post I Spent My Emergency Fund: Now What? appeared first on The Simple Dollar. Questions About Books, Cell Phones, 401(k)s, Private Schools, and More! 2. Private school worth it? 8. Thoughts on permanent portfolio? As the routines of the school year re-emerge in our home, I find my responsibilities and time commitments changing. During the summer, I wake up early and try to use the earliest parts of the day to write. I generally rely on topic ideas and outlines that I assembled in the spring so that I can spend as much time as possible with my kids during the summer months. This means that I’m mostly at my writing desk when working. During the rest of the year, I have full days in which to write and to prepare article ideas and outlines for the future (such as next summer). This means I spend a lot of time reading and researching during the fall, winter, and spring, taking notes and making outlines in addition to writing. This week is my first full week in “fall mode” after “summer mode,” which means lots of time at the library and lots of time reading and thinking about ideas. It’s a nice change of pace. I just wanted to offer a counterpoint against your advice of using the library. I have stopped using my local library and just buy books on the Kindle or at bookstores these days. Our local library only allows you to check out new releases for one week and has heavy fines for each late day. They also fine you if you reserve a book and then fail to pick it up within their hold window. I accrued almost $100 in fines in a single year there. I can buy the 5-6 new books I read in a given year rather than dealing with that nonsense. If you’re in a situation where the local library is extremely heavy handed with fines, it’s very reasonable to sit down and assess the cost you’re incurring with those fines versus simply buying books from used bookstores or other sources (buying from elsewhere, trading, etc.) to meet your reading needs. You might want to look into Little Free Libraries near you. There are a few near me and I often go there and drop off books I own and have read and probably won’t reread, and I also pick one up if I see something interesting (I do more “dropping off” than “picking up” overall). Q2: Private school worth it? Several years ago, my husband and I moved to a state with a pretty poor public education system in order for both of us to secure high paying jobs. We had twins five years ago and they’re now in a private preschool which is pretty expensive, more than the daycare we were using. This private preschool feeds into a private elementary school and secondary school and their tuition rates are even higher. For our twins, the cost will eat up most of what we have gained by moving here. So we have three choices, as I see it. One, we enroll our kids in the private school. It’s expensive, but probably the best educational choice. I have some personal misgivings about private school in general but this one seems fine. Two, we enroll our kids in public school starting next year. Worst educational option, but best in terms of finances. Three, move to another area with good public schools and accept what will likely be some salary hit. Probably the middle of the road option for both education and finances. What should we do? Looking for some advice. First of all, I would put a priority on my children’s education, so I would probably eliminate the option of just sending them to the bad public schools in your area. That leaves the other two options. Where I live, the public schools are pretty strong and I have no qualms about sending my children there at all, so public schools in a state with strong public schools or private schooling at a good private school are both reasonable. I think I would choose between those two options based on other factors. Are you happy where you’re currently living? Do you have lots of social ties there? Would you be happier in another area? Do you have family or friends you wish you were closer to? Are there good job opportunities in those places you would consider moving to? Let those factors nudge you. You might find that when you start looking at those things, one of the options emerges as the most sensible one. I am looking for a credit card to help fix my credit. If you have bad credit, one of the best ways to start fixing it is with the help of your local credit union. This is something that credit unions excel at – they can help people rebuild their credit with several different tools. One common tool they will often provide is a secured credit card. A secured credit card is basically a credit card with a deposit. You put down a small deposit and they issue you a credit card. You use that card like normal, but if you don’t make payments, they use the deposit to cover it. This allows the credit union to issue credit cards to people with poor credit, because the deposit helps the credit union cover the risk of giving a card to someone with bad credit. As your credit recovers, they may be able to help in other ways, such as an unsecured credit card or a collateralized loan. It will take time, though – there is no magic solution to bad credit. Just find a credit union in your local area and stop in to talk to one of their representatives. They’ll likely be able to help. What do you even do with more green beans than you can ever eat? We’ve been freezing them but they just keep coming and coming. We planted too many obviously. There are lots of culinary uses for green beans, but there comes a point where too many is just too many! We made this mistake once and almost made ourselves permanently sick of green beans. My best advice to you is to talk to any and all people in your life who also have gardens and start bartering green beans for any other vegetables they’ll offer for them. Swap green beans for tomatoes or okra or whatever you can get. This is how we get rid of extras – we often swap them with neighbors or even give them some of our beans (under the implicit assumption that they’ll give us some of their excess of something when their crops are producing). You should also consider donating them to a local food pantry. Most local food pantries will happily accept donations of fresh vegetables and they almost always are in high demand. I need help. I have been struggling to keep up with my student loan payments and have not had enough money to pay. I am 24 days late now and need help. If you’re struggling to have enough money to pay for your student loan, the first thing you should do is contact your lender and ask about hardship forbearance options. Many student loan providers have programs where they will reduce your payments for a while or even eliminate them for a while when you’re struggling financially. There’s a catch: usually, the interest will continue to accrue while you’re not making payments. Still, this can give you enough breathing room to get things under control and rebuild a little before you begin tackling the loan again. Regardless, it’s best for you to contact them sooner rather than later. The longer you sit around with no contact and no payments, the worse the impact will be on your credit report. Call them up and see what you can work out together. It’s not in their interest or your interest for you to default on your loan. They don’t make dish towels like they used to. I have bought several new dish towels in the last ten years and none of them actually dry anything. They just move water around on cups and pans. Where can one get decent dish towels without spending $20 a pop? Most dish towels do a fine job if you don’t use any fabric softener on them, so no liquid fabric softener in the washer or dryer sheets in the dryer. If you use those things, the towels come out feeling softer but they’re rather aquaphobic, meaning that they actually push water away rather than absorbing it. Give all of your dish towels a washing or two with very plain laundry soap and no dryer sheet and see if that helps. If it doesn’t, you might want to just get some new dish towels. I can personally verify that these are really, really good for the price. They do a great job of drying all kinds of things. Please be aware that if you invest in a traditional 401k or IRA, you’re reducing your income and thus have to pay less tax in your current HIGHEST tax bracket, while in retirement it’s quite possible that this income will be taxed in lower tax brackets. Example: you earn $110k now as a married couple filing jointly. Your highest tax bracket is 22% . Any contributions to the 401k that you now make are deducted from your income, saving you 22% of that contribution in taxes. When you retire, say you’ve got $30k of social security income (taxable), $10k of Roth income (untaxed) and you choose to also take $20k of income from the traditional 401ks/IRAs (taxable). Now your taxable income is $50k; and after the standard deduction of $24k you pay income tax on $26k, you pay 10% on the first $19k and 12% on the remaining amount; for an “average” tax burden on your $50k of income of only 5.4% . (And remember that you also took $10k form the Roth accounts, so your total posttax income would be $57k). This is why I believe that traditional accounts can be an excellent idea, especially if you’re a relatively high earner now, but will be able to live on a bit less in retirement. (Say, you’re solidly in the 22% tax bracket now and will probably be mostly in the 10 and 12% bracket in retirement … but even if in retirement you “hit” the 22% bracket, most of your income then will be taxed at a lower rate). Even if the tax rates go up a bit in the next decades, they have to go up an awful lot to make the lower brackets in 2049 higher than the higher brackets now. So don’t just compare your “highest” tax brackets now and in retirement. Compare your highest tax bracket now to your average tax % when retired. There are two big advantages of a Roth. First, let’s say you’re early in your career on a path where you expect to be earning a much better salary as you move along. You earn, say, $75,000 or so per year for the first decade of your career, but later on, you’re probably earning $200,000 or more. During those early years, putting money in a Roth IRA is a huge advantage because your tax rate early in your career is likely to be much lower than your tax rate in retirement off of an $200,000 salary. It’s untaxed income no matter what your retirement situation is. Second, a Roth IRA gives you a ton of flexibility compared to your 401(k) at work. You get to choose your own investment house and you get to choose from a wider variety of investments. If I knew that the 401(k) at my job was as good as any IRA out there and I also knew that I would never earn a higher salary in my career, then the 401(k) is probably a good idea (with some tax assumptions). In general, however, I’m not going to make those assumptions, especially if the person asking for advice is young – I’m assuming their salary is going to go up in the future and thus socking away money that will earn tax-free returns in the future is good. Q8: Thoughts on permanent portfolio? I was listening to a podcast recently and the host was talking about the “permanent portfolio” but I didn’t follow all of the details. What is it and do you think it’s good? Was it episode 345 of The Voluntary Life? I listened to that recently and the host did mention the “permanent portfolio” a bit. The “permanent portfolio” is an investment strategy first popularized in the 1980s. Basically, it’s a strategy for investing that should weather almost all changes in the economy quite well with minimal effort, meaning it shouldn’t fall apart when the stock market falls. You might practically do this by buying into equal amounts of Vanguard index funds – VIGRX, VBTLX, VUSTX, and VGPMX. I think this is a good strategy if you’ve reached the point where you need to live off of your investments. This portfolio won’t have great long term returns, but it will have pretty consistent returns over time. My only hesitation is the precious metals part. While I understand the historical reasons for it, I’ve seen precious metals be incredibly volatile in recent years in ways that seem to be untethered from other economic activity. I also have a minor hesitation about the exclusion of real estate. If I were doing it, I’d probably consider using VGSIX in addition to the four above, or possibly cut out the precious metals option. However, I don’t think I’d jump to this unless I were living off of my investments, as that would become the goal of my investment strategy. If your goal is self-sustainment of your lifestyle, it’s a good strategy; if you have other goals, you should use other approaches. Just wanted to share with you that I basically use the same strategy for cell phones that you use for cars. I buy a “late model used” (a phone that’s not of the current generation and often a refurbished one) and then use it until problems pop up (software stops working well or something breaks on it). It’s served me well since about 2009 and I see no reason to change! I do the same thing, actually. I’ve been using my current cell phone (an iPhone 6) for a couple of years now and I see no reason to switch yet. There are a couple of annoying scratches on it, but not bad enough to really bother me. When I do replace it, I’ll get one that’s at least a generation old and, as you noted, a refurbished one if I can find it. I’ve never had any problem with this strategy either. I used to “need” the latest and greatest phone, but it really didn’t ever do anything essential that an older phone couldn’t do. Older phones can make calls, send texts, check websites, do some GPSing, and other basic things. How do you talk about finances with your family? If money comes up, how do you deal with it? Frankly, it doesn’t come up very often. When it does, it’s usually a serious discussion about something that’s of importance to all of us, like figuring out issues related to my parents’ estate. On the rare occasions when it does come up, I never, ever talk about specific numbers or any details of our specific financial state. To me, such specific details are only of importance to Sarah and myself. I do talk about goals (“Sarah and I are aiming to retire in our early to mid 50s, hopefully”) and general strategies for getting there (“We just automate all of that and the money goes right out of our checking account and we don’t even have to think about it”). Talking about specific dollars and cents tends to create emotions that we simply don’t want in our family relationships, and it also introduces direct comparisons, which we also don’t want. What good is it for me to compare our net worth to that of my brother? None at all. It doesn’t do either of us any good. Let’s say I’m better off than he is – does that make him feel bad? Probably. Does that make me feel good? Not in any real way – I’d mostly just feel awkward. Let’s say he’s better off than me. Does that make me feel bad? Probably a little. Does that make him feel good? Maybe, but, again, it’s probably awkward. Why do this? If anything specific does come up, I check out of that conversation as soon as possible. Do old money books have value? My grandpa has several and says that I’m free to have them. They are from the 70s and 80s. Still worthwhile to read? The core principles and philosophy of personal finance hasn’t changed since the days of Charles Dickens. Spend less than you earn. Avoid debt. Put your money to use somewhere. Have a good head on your shoulders about how you spend money. Those kinds of things are timeless and always good. What does change are the specifics. The actual mechanical methods of investing change. The methods by which we shop change. Specific investing strategies change. If you’re looking for bedrock principles and food for thought, older personal finance books are just fine. If you’re looking for specific strategies, then older books won’t help. What books do you read for fun? I often recommend personal finance and related books here on The Simple Dollar, but that’s nowhere near all that I read. I am a voracious reader, often knocking out two or even three books in a week. I usually have one fictional and one nonfictional book going at the same time. Regarding fiction, I mostly read literary fiction, science fiction, and fantasy. I’m currently reading Dragon Haven by Robin Hobb. With nonfiction… I read everything. Science, philosophy, self improvement, history… it’s all over the place. I generally get obsessed with a topic and read about it constantly until I feel like I “get it” on some level, then move onto something else. Right now, I’m reading Origin Story by David Christian. I generally put aside at least an hour a day for uninterrupted reading. With nonfiction books, I often take notes as I’m reading as that helps me absorb and remember key ideas and information. The post Questions About Books, Cell Phones, 401(k)s, Private Schools, and More! appeared first on The Simple Dollar.